Have you ever thought for a moment about the effects that everyday life has on you? Do you feel that these effects have an overwhelming impact on how you live your life? The environment that surrounds every day influences the decisions we make and the way we think a multitude of ways. 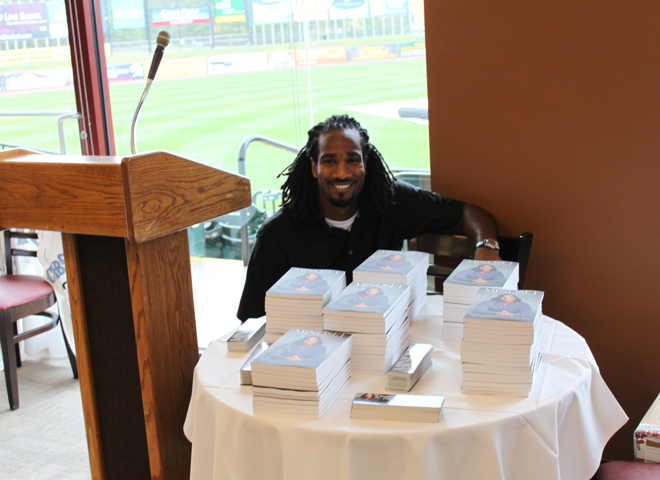 Brian Barton, a former major league baseball player with the St. Louis Cardinals and Atlanta Braves, puts aside the bat and ball to debut his book, Mindset: Awareness and Action. 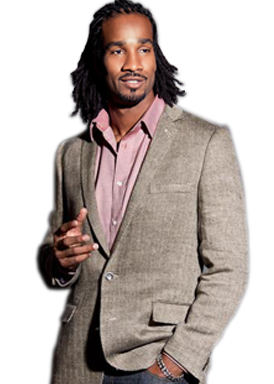 The Los Angeles native was motivated to write this book through witnessing the perilous effects that everyday life has on the mindset, especially in impoverished communities. Mindset is written to be a thought provoking commentary that promotes awareness of these effects while promoting guidance and action for developing a healthy and enhanced mentality. His philosophy is that exposure eliminates mental enclosure. This book will bring insight to the effects of a social mentality being adopted as part of a personal mindset. The decision then becomes our own to empower our thinking and strengthen our mentality. I was seconds away from living a life that many children, especially in inner city America, are forced to live: a single-parent life without a father. I was only a few months old when an argument between my dad and another man escalated, resulting in a bullet being lodged in my father's abdomen. Losing pints and pints of blood, my dad was hanging on for dear life, seemingly unimportant to the ER doctors, as he was neglected in a hospital hallway where he was sure to die. My dad owes his life to the courage and moments of outrage that my grandmother exerted to ensure that her son-in-law was given immediate attention. Getting weaker by the moment, with family pleading for him to make it through, the urgency of his situation was finally recognized. My father survived and, in spite of societal statistics, my older brother (age 2 at the time) and I were spared losing another black father, not only to jail or abandonment, but to the grave. I try to reenact those moments and wonder how my mother must have felt. Who knows what must have been going on in her head? Attempting to raise two children as a twenty-one year old single mother, with only a high school education, she would have had tremendous odds to overcome. It would have been difficult for anyone to imagine how they were going to care for two children without the head-of-household present. Where would the money come from? Who would teach her boys how to become men? Who would satisfy her emotional needs as a woman? I know my mother to be a strong woman, but at such a young age, she might have been deemed unfit to successfully raise us. With such thoughts still looming, I wonder what effect my father’s death might have had on my life. Not wanting to swim in a pool of pessimism, it is difficult to conceive the notion that my life would have turned out the way it has so far. As a matter of fact, I know that there definitely would have been major differences (if not catastrophic events) in my life, stemming from the search for a male figure - something that many young men blame for their social downfall in the world. Ask yourself a simple question. How easy is it to get my life on track? This is not a rhetorical question to sit on and ponder. Instead it is a question that will get you on your feet and moving. The answer to this question is simple. It is as simple as A-B-C. 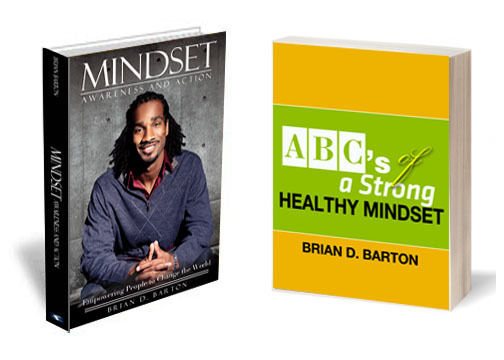 The ABCs of a Strong Healthy Mindset is intended to be incorporated into your daily life as a means of encouraging action and developing a healthy mindset. Sometimes the biggest decision to make is the seemingly small decision to act. Remember, if you are not moving forward, you are standing still.